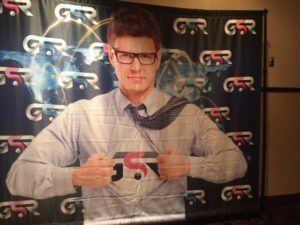 This past weekend, I was invited by my friend, Tamara Sofi, to attend a meeting in Las Vegas for the GSR launch, which is a Global Shopping Rewards incentivized affiliate marketing group. When I arrived, they asked me to speak and although I was a bit unsure of myself as I am used to a medical audience, I decided to “go-with-the-flow”. I spoke a bit about telomeres and then got two questions: 1) about my opinion on pharmaceuticals and 2) how to best help veterans. For the first, I tried to explain that while drugs can be useful tools, the body is best at repairing so we need to learn to optimize healing from withing. 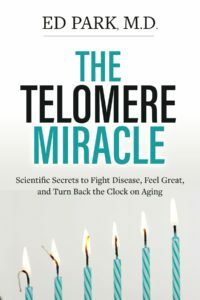 That gave me a chance to plug my book, The Telomere Miracle: Scientific Secrets to Fight Disease, Feel Great, and Turn Back the Clock on Aging. The second question I really wish I could have gotten more deeply into because it speaks to the synchronicity of human experience. I found it fitting at the GSR launch that these people seeking to make connections all wore event badges that read, “11:11”, which was the date of the event but also a significant number in those that talk about synchronicity. 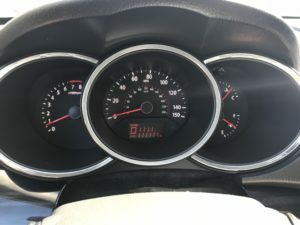 I was reminded of the power of synchronicity by Tamara Sofi’s boyfriend, who took a picture of his odometer at 1:11PM with the trip odometer at 1111 miles and the vehicle odometer at 111,111 miles. Now I am not a traditionally religious person but what I have learned from the years of being alive is that when you are open to the present moment, you will experience many coincidences. I further have come to realize that every single person that I encounter shares with me countless common interests and that synchronicity is not uncommon nor random; it is a fundamental property of reality that we have to actively suppress by pretending to be separate, ego-driven, and finite beings when in fact, we are always connected to everything all at once. When the veteran asked about helping vets, the synchronicity struck me. First, I recalled helping the Australian Tony Chaunaval, in my traumatic brain injury video, who talked about his experiences serving in the Vietnam War. I also thought of my YouTube video on depression and addictions.. 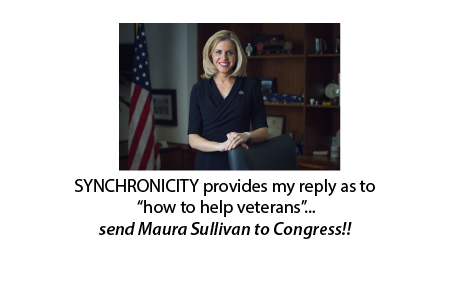 I also thought of receiving an email four days earlier from Maura Sullivan, a gulf war veteran and Marine Corps Captain, Division I track star, and Harvard Business School graduate, who had just announced her candidacy for the US Congress . When she first accepted her position in the Veterans’ Administration, I wrote to her to encourage her and to suggest that the best way to honor Veterans is to make fewer of them. I am so proud that she has accepted the challenge of leadership to do that and I have total confidence in her intellectual, moral, and professional bona fides. “I know how important it is to demand accountability from our leaders. I joined the Marine Corps, inspired by their values of honor, courage, and commitment — but unfortunately, found that these ideals were not always backed up by our government. On the front lines in Fallujah, Iraq, I saw firsthand how leadership failures in Congress pushed Americans into battle without a reliable strategy to win, and often without the resources to succeed. This experience opened my eyes to the devastating consequences of out-of-touch politicians in Washington — whether they’re sending young Americans to war or taking on the challenges communities face here at home. Please donate to Maura Sullivan’s campaign here!! The point of this blog is to invite everyone to understand how adaptogens, which free up your mind and spirit by accelerating healing, can also make you appear to be more lucky in terms of synchronicity. Just read this blog on my hole-in-one, and about winning a poker jackpot my first time playing in a casino poker room. Some people call it luck, supernatural order, synchronicity, or random chance. I simply believe that in every moment, there are countless opportunities to network, raise your happiness, and increase wisdom. As with anything, the key is learning to “go with the flow” because in truth, the universe is always conspiring with you to manifest great things- you and your warped interpretations are the only things that are limiting your potential! 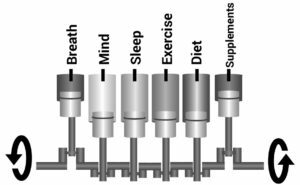 My book is my attempt to help you learn to optimize your breath, mindset, sleep, exercise, diet, and supplements so that you can start ‘firing on all cylinders’ and manifest all the things that you don’t even know are out there. The body doesn’t need an exotic Harvard education to know how to stay optimally healthy. Provide the critically needed 100 or so nutritional raw materials and it is smart enough to know what to do with them. We don’t get sick because of a deficiency of deadly, toxic, lethal and poisonous drugs, which directly kill 100’s of thousands every year. J P Morgan owned pharmaceutical companies and made sure that acupuncturists, herbalists, naturopathic physicians and chiropractors were suppressed. The M.D.s, were then elevated in authority so that they could be his drug pushers. I agree with the Harvard part and the intelligence of the body. But have you considered that your own body is the source of most toxins? Carbon dioxide, bilirubin, damaged stem cells, unhealthy beliefs, sleep deprivation and buildup of amyloid? You make it seem like there is a good side and a bad side and yet it more complicated than that.